The Government needs to do “further work” on its so-called snooper’s charter bill to win the trust of journalists, according to Andy Burnham, the shadow home secretary of the Labour Party which yesterday rejected the bill in a House of Commons debate. The Investigatory Powers Bill was approved by MPs at second reading by 281 votes to 15, majority 266. Several Tories voiced concerns over safeguards, privacy, and powers to allow security services to hack into devices. Labour and the SNP abstained and warned they could vote against the Government at future stages unless it ironed out problems with the bill. The position of opposition parties and some of the unease on the Tory backbenches could force the Government to grant concessions as the bill passes through the Commons. While broadly agreeing with the bare bones of the bill, Burnham cited concerns the National Union of Journalists had raised over the proposed new law, as he earmarked key areas where Labour wants to see extra measures introduced into the bill before the party would support it. These include improved protection for journalists and their sources and stronger privacy requirements to protect people. The proposed law, which has also been rejected by The Sun newspaper, details widespread powers allowing the state to intercept internet and telephone communications. Journalists are concerned about law enforcement agencies’ ability to secretly view telecoms data in order to identify journalists ‘sources. Laying out the party’s stance, the shadow home secretary said it was crucial to strike a balance between security and privacy, pointing to the example of meeting representatives from Hillsborough families who believe their phones were intercepted following the football stadium tragedy. 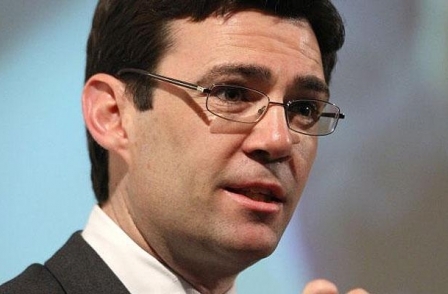 Burnham added: “Alongside bereaved families, there have been cases of journalists claiming material was inappropriately seized from them most recently in connection the Plebgate affair. He spoke of a memo sent from the security services at the time to a senior Foreign Office official. "It is headed “Secret” and talks about the preparation of a television programme that went out and the trial of the Shrewsbury pickets, and it says, at the top: 'We had a discreet but considerable hand in this programme.' That is from the security services, so why would people on the Labour Benches not fear handing over more power to the police and security services without there being adequate safeguards?" Earlier in the debate, home secretary Theresa May said the bill amounted to “world leading legislation” which boasted “unparalleled openness” which had “privacy hardwired” into it. The Liberal Democrats, who oppose the Bill in principle, helped to force the vote. Ministers may have to give ground as they are determined to complete its passage through Parliament by the end of the year as many of the powers in the compromise Data Retention and Investigatory Powers Act passed in the last parliament are due to expire. Former home secretary Ken Clarke warned that justifications for using the intrusive spying powers on grounds of national security or protecting economic well-being could be misused. The Tory grandee said: "The devil is in the detail and actually there are some quite important points where we should still be questioning. "It is true that there is a vast amount of activity under the general title of economic well-being. "I've known some very odd things happening under that head. "National security can easily get conflated with the policy of the government of the day and I don't know quite how you get the definition right, but it's no good just dismissing that point." Intelligence and Security Committee chair Dominic Grieve, while broadly supporting the Bill, warned that its safeguards "come across as slightly piecemeal", adding it is a "missed opportunity" to provide public reassurance. Former shadow home secretary David Davis, a staunch civil liberties campaigner, said the Bill is "designed to confuse" and did not contain enough privacy protections. The Tory former minister said: "There are many other significant flaws in this Bill which have to be put right – the lack of sufficient privacy protections, the collection of ill-defined bulk personal data sets, wide and too easy access to retain communications data, prime ministerial appointment of judicial commissioners, on and on and on." Tory backbencher John Glen said ministers should not force tech companies to insert "back door" vulnerabilities into their devices or software that could be used by the security services to get around encryption, warning that these could be exploited by terror groups or other criminals. The Salisbury MP said: "We cannot realistically expect that in-built vulnerabilities in data encryption will remain secret only to those who create them. "My concern is that sooner or later we should expect these vulnerabilities to be maliciously exploited by the same groups we are trying to fight." The Bill marks the latest attempt to create a comprehensive legal framework covering a wide range of communications surveillance powers which the Government argues are essential to combat terrorism and organised crime. The proposals have already been significantly amended after a draft Bill last year was heavily criticised by three parliamentary committees. Lib Dem former deputy prime minister Nick Clegg suggested powers to force internet companies to store internet connection records (ICRs), which are the addresses of websites people visit, for 12 months amounted to an attack on privacy. He accused the Home Office of being "institutionally insensitive" to privacy. Concluding for the Government, Philip Hammond said he is "confident that all reasonable concerns and fears can be allayed". The Foreign Secretary stressed that apart from the proposed powers relating to internet records "all the powers in this Bill are already in use". He said: "Any attempt to curtail those powers which they already have and which they are currently using will make us less safe." The Bill will now pass to committee stage in the Commons.